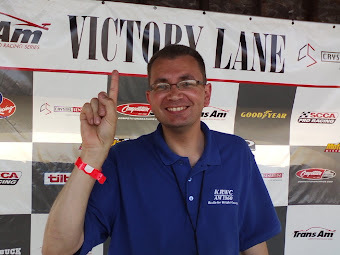 ROB THURSTON won our Speedtalk on 1360 "pick the podium" contest on KRWC. 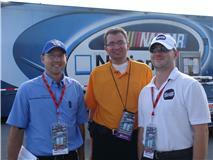 Rob picked the top 3 finishers in the NASCAR Cup series correctly. 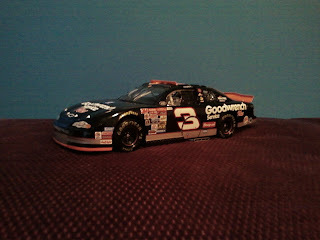 He correctly picked Jimmie Johnson, Denny Hamlin and Kevin Harvick in his top 3. 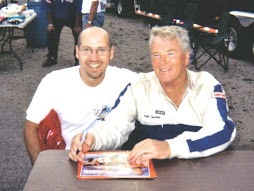 Rob Thurston's name may be fimiliar to many local race fans, he is a former 4 time champion at I-94 Raceway in the Great North Legends division. 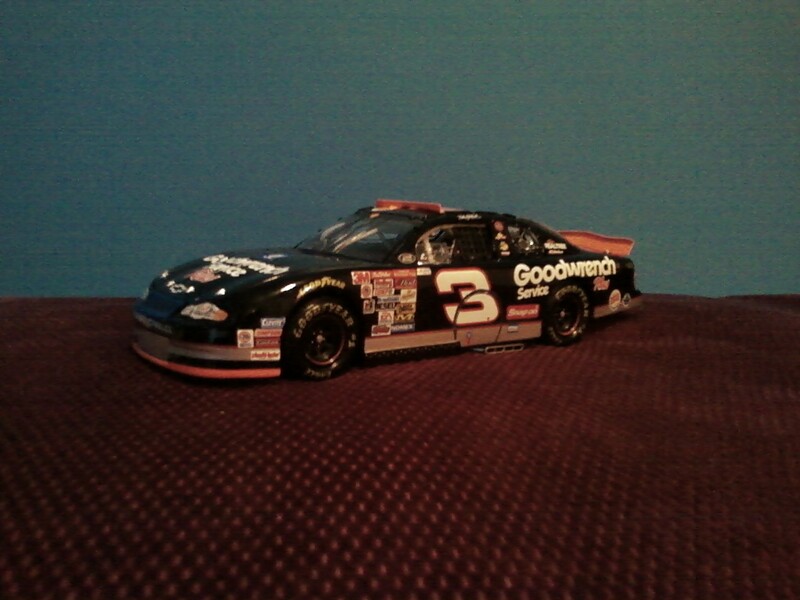 He will get an awesome Dale Earnhardt die-cast as a prize. 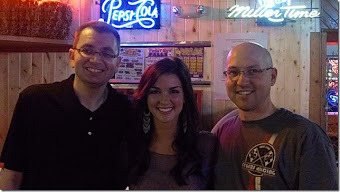 Rob and his wife Abby, who live in Olivia MN, are expecting their first child in January. A big thank you to Darin Nelson and Hideaway Speedway in Isanti (MN) who sponsored this contest. We hope to do this contest again next year, remember "Speedtalk on 1360" is set to return next April Saturday mornings on KRWC radio. Jordan Bianchi (far right) from http://www.theracinggeek.com/ has won our "pick the winner" contest on Speedtalk this year. It was a close competition, here are the final results: Jordan 31, Jason 28, Dean 24. Thank you everyone for following along this year. 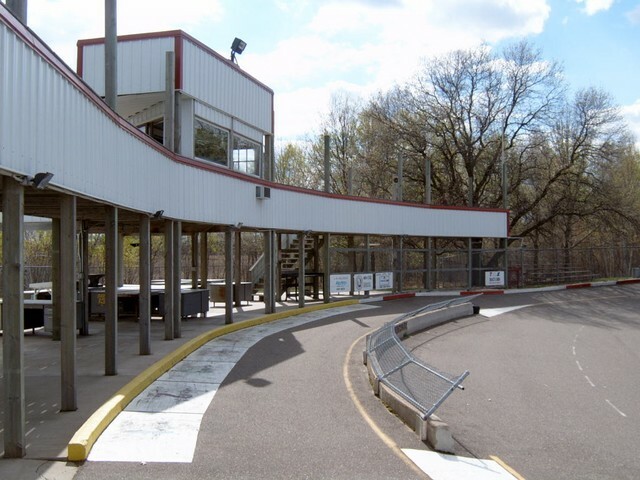 Thank you to our sponsor of this contest, Darin Nelson with Hideaway Speedway (pictured below). They race radio controlled cars on an awesome track near Isanti (MN). The NASCAR Chase is very close coming into the final race of the long 36 race season. Before the race at Miami-Homestead (FL) Denny Hamlin leads four time champ Jimmie Johnson by 15 pts, and dark horse Kevin Harvick is only 46 pts back. Our SPEEDTALK "pick the winner" contest is also close. Jason leads Jordan by just one point 28 to 27, last years champion Dean Reller is third with 19pts. 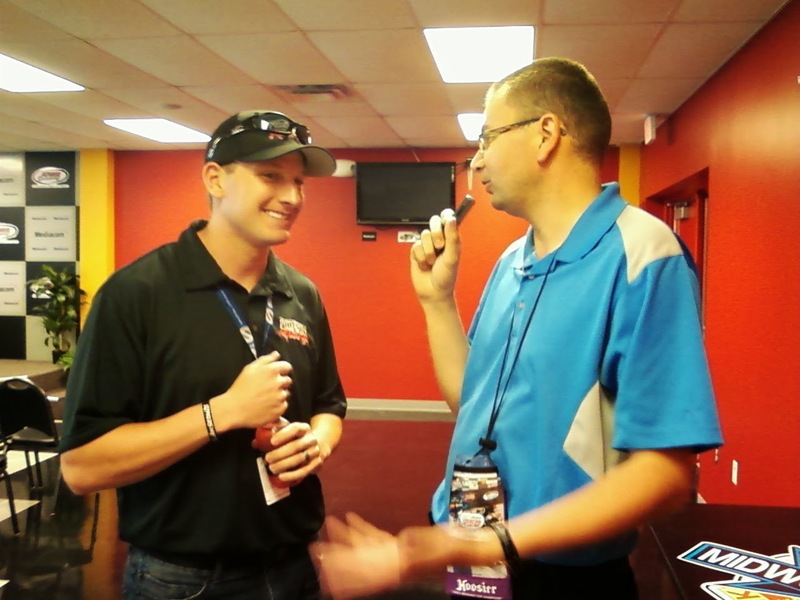 Jason is picking Denny Hamlin this weekend, Denny is the defending race winner, he also finished third in 2006 & 2007, he is a two time winner at 1.5 mile tracks this year and they are racing the same car they won with at Texas a couple weeks ago. Denny was the fastest car at Phoenix last week and is really running well. Its time for someone new to win the Cup Championship. Jordan is going with Carl Edwards who won at Homestead in 2008 and has five consecutive "top 10" finishes. He has the best driver rating (111) and is first in "average running position" at 8.9. He starts on the front row and was fastest in first practice. 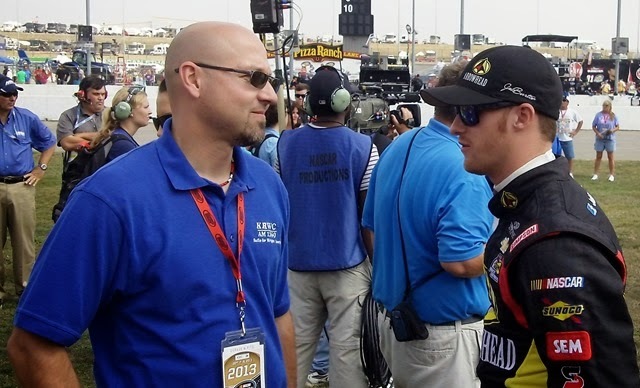 Cousin Carl won at Phoenix and has moved up to fourth place in the standings. 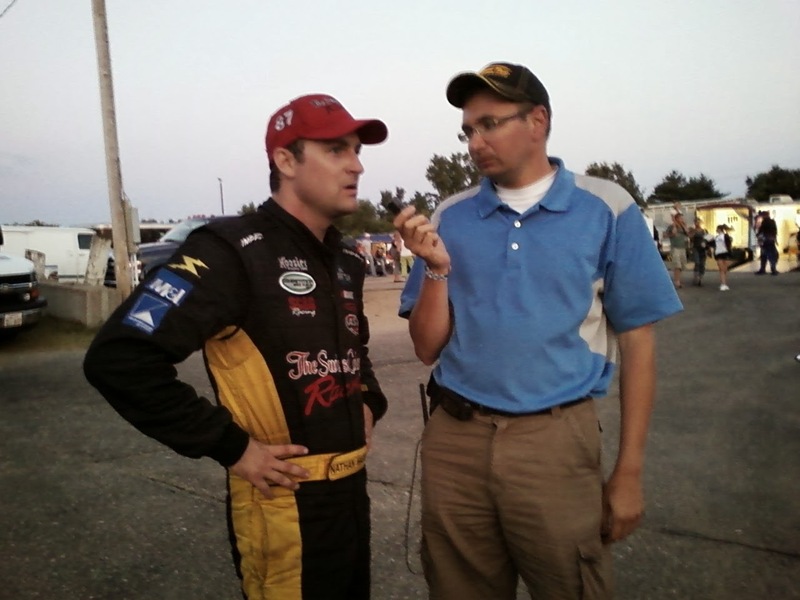 Dean Reller will pick Jimmie Johnson who is looking for "one for the thumb," this weekend. Jimmie has finished in the "top 5" three of the nine races at Homestead. He has run a conservative race the last few years protecting a points lead, that is NOT the case this year. 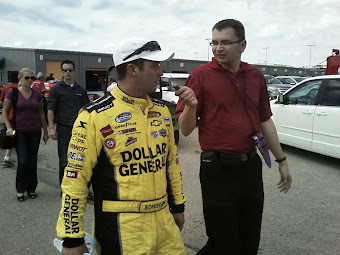 For the 2010 season Jimmie is best in driver rating (108.5) and average running position (9.3). This contest is sponsored by Darin Nelson and Hideaway Speedway radio controlled car racing track in Isanti MN. 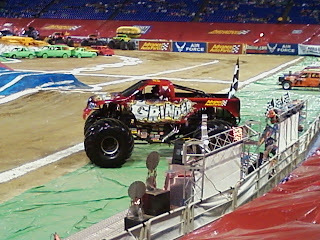 Dennis Anderson driving Grave Digger swept the trophys at the Metrodome on a snowy night in Minneapolis (MN) on Saturday Nov 13th. Lupe Soza in Grinder never slowed down, even after blowing both tires on the same side of his truck, he finished second with 27pts. Here is a link to that run http://www.youtube.com/watch?v=oYdKksW_33c Tom Meents in Maximum Destruction had an awesome run cut short with mechanical problems, he scored 26. 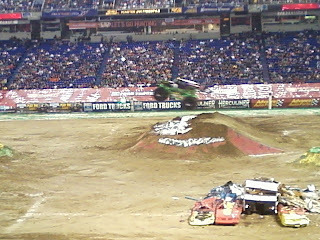 Jeremy Slifko in Backdraft was the second truck to hit the track, he scored a 25 and held the lead for much of the night. 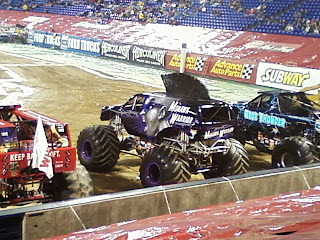 The racing portion of the night saw Grave Digger as the fast qualifier (18.60), just edging Blue Thunder (18.72), Captains Curse (18.78) and Air Force Afterburner (18.84). 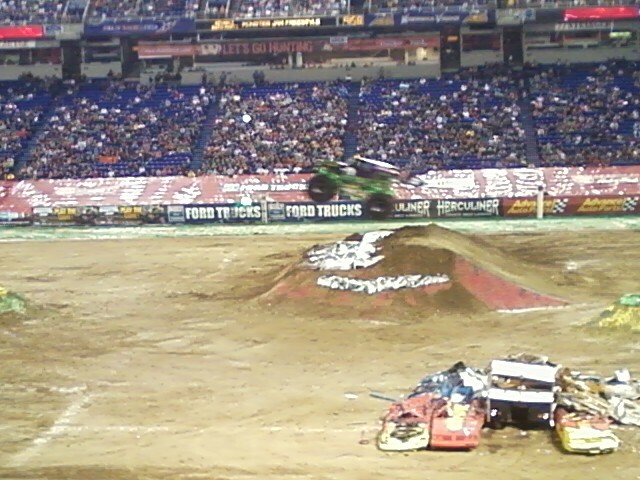 Grave Digger defeated Mohawk Warrior, Grinder and Air Force Afterburner to advance to the finals. Maximum Destruction beat Brutus, Avenger and Blue Thunder on his way to the end of the bracket. The "Greatest rivalry in Motorsports" saw Grave Digger edge Maximum Destruction in the racing finals. Here is the SPEED Channel broadcast schedule for the Metrodome show. (All times CENTRAL time zone) Dec 5 11pm-1am. Dec 10 6am (racing). Dec 13 6am (freestyle). Dec 27 4pm (racing). Dec 28 4pm (freestyle). Jan 18th 6am (racing). Jan 19th 6am (freestyle). (ST. CLOUD, MN) Billed as "The last chance to get together before the snow flies," it was a steady falling snow that met everyone as they came to the annual WISSOTA Expo. The event featured all the components of what it takes to build a race car all rolled into one shopping experience. The Expo is just part of the WISSOTA Promoter's Association Annual Meetings and National Awards Ceremony at the St Cloud River's Edge Convention center which is undergoing an expansion that forced visitors to navigate a labyrinth filled with twists and turns just to enter the building. Once inside, it was a smorgasbord of vendors ranging from tires, shocks, brakes and graphic companies just to name a few. 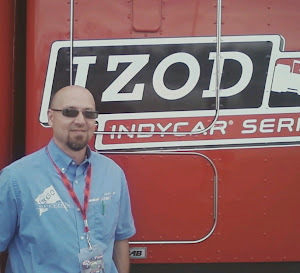 As racers shopped for new parts and pieces to get ready for the 2011 season, they were also able to visit with industry experts and improve their knowledge, which hopefully will improve their on track performance. A few instructional seminars were held to further explain some of the tricks of the trade. 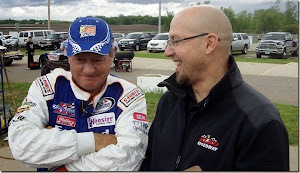 The overall buzz of the Expo was several new rule changes announced for the Midwest Modifieds and the WISSOTA Modifieds. 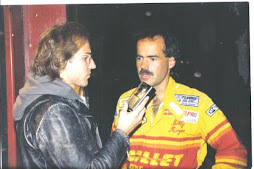 A major rule change will force a large majority of the Midwest Modifieds to change their cars to run a 3 link rear suspension which somberly affected the tone of the normally upbeat gathering. 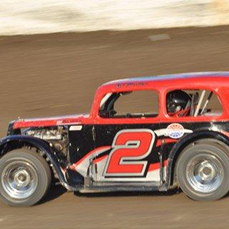 The WISSOTA Modifieds will now be allowed to run quick change rear ends, which created a somewhat lesser reaction. 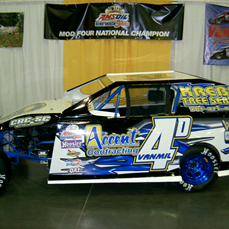 New at the Expo this year, was the display of the Championship winning cars in each of the WISSOTA divisions. All in all, it was a good chance to catch up with racers and talk about what will be happening when the snow melts in 2011. 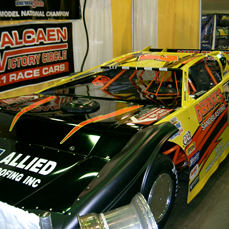 *Pictured above is the WISSOTA Late Model National Champion car driven by Ricky Weiss from Headingley Manitoba Canada and WISSOTA Mod-4 Champion car driven by Rob VanMil from Moorhead MN.